The researchers say their innovation is chip-compatible technology that doesn't require additional sources of energy. 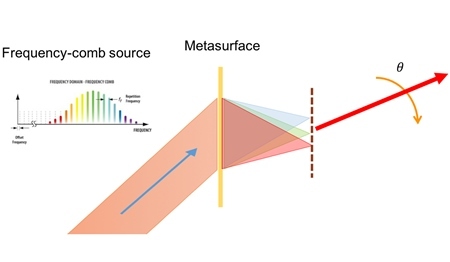 It is based on light-matter interaction between metasurfaces and short pulses from mode-locked lasers with equally spaced phased-lock frequency lines. Another key element is using a metasurface based on patterned silicon film. “That's the basis for all of the electronic circuitry at the nanoscale to give this exciting functionality that allows the beam steering to happen,” said Brongersma, a professor in Stanford’s Department of Materials Science and Engineering. The challenge for the researchers now is to scale up the innovation and move it from the laboratory to the real world. They are looking for investors, partners or possibly licensing agreements as they work to move forward scaling up the technology. The first developments might be in areas such as scanning devices at stores, airports or in many other areas before moving on to autonomous cars and automobile original equipment manufacturers.